There are some odd, yet interesting happenings between Major League Baseball and the Umpires these days. So odd, in fact, that civil rights leader Jesse Jackson was even compelled to comment. World Umpires Association president John Hirschbeck and union spokesman Lamell McMorris said Wednesday that Tom Christopher, the Milwaukee-based supervisor of security and investigations in the commissioner's office, had asked questions about Klan membership to neighbors of umpires Greg Gibson and Sam Holbrook, who reside in Kentucky. In addition, Hirschbeck said similar questions had been asked of neighbors of umpire Ron Kulpa, who lives in suburban St. Louis. 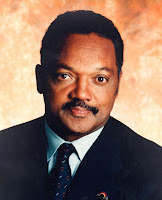 "In a year with the injustice of Jena Six, nooses hung around the country and the Tiger Woods-Golfweek scandal, Major League Baseball's false impersonations of friendships and ill-contrived questions further press sensitive racial stereotypes, with no basis for suspicion," Jesse Jackson said. "They have essentially defamed their people in their own neighborhoods." Baseball stepped up background checks last August, after it became public that the FBI was investigating then-NBA referee Tim Donaghy for betting on games. Donaghy pleaded guilty to felony charges of conspiracy to engage in wire fraud and transmitting betting information through interstate commerce, and he awaits sentencing. He has since resigned from his job as a referee. As mentioned, the recent scandal in the NBA involving Tim Donaghy is the obvious driving force behind the increased scrutiny of the umpires. However, this bizarre Ku Klux Klan revelation makes me wonder what else is at work, as KKK membership has nothing to do with financial impropriety. Involvement in gambling by a referee or umpire is of obvious concern, as his professional integrity could be comprised by rising financial debt. However, it's clear that MLB has expanded the scope of its investigations to cover all aspects of professional integrity, not just financial impropriety. However, one wonders why MLB would think to include race in its investigations. Is it possible that any recent events have necessitated this type of inquiry? Thinking back over recent events in Major League Baseball, it's hard not to stop at one in particular. On September 23, 2007 San Diego Padre Milton Bradley was involved in an altercation with first base umpire Mike Winters. Normally, most would be quick to dismiss it as nothing more than another in a long line of Milton Bradley meltdowns, however there was more to it than meets the eye. In the 8th inning, Bradley singled off of Rockies starter Jeff Francis. As Bradley reached first base, he engaged in a conversation with Mike Winters that became heated. The situation quickly escalated and Bradly had to be restrained by seemingly half of San Diego. Ultimately, Bradley was wrestled to the ground by his own manager Bud Black. In the struggle, Bradley ended both his season and the Padres season when he tore ACL and MCL in his knee. Predictably, the aftermath boiled down to a "he said, he said" situation, Padre first coach Bobby Meacham was unwaivering in his support for Bradley and his comments are very telling. "In 26 years of baseball, I can honestly say that's the most disconcerting conversation I have ever heard from an umpire to a player," Meacham said. "It was almost like he wanted to agitate the whole thing. He wanted to get Milton boiling for some reason. Milton, he held his cool. I was just appalled." Major League Baseball launched an investigation and while it was never revealed exactly what was said, the results speak for themselves. Winters was suspended, while Bradley was not. Whether race played a part in the Bradley-Winters incident will likely never be known, but it's clear that MLB is concerned about racism tainting the objectivity of its umpires. You can debate the wisdom of MLB's decision or tactics, but it seems clear that the character cops have been let loose on the MLB umpires. It remains to be seen whether these comprehensive investigations are justified or effective, but it seems well past time that the general conduct of the umpires was placed under greater scrutiny. Here is a little bit of old school, hard-nosed baseball courtesy of the Big Red Machine. I thought it might help pass the time until pitchers and catchers report. I'm not sure Little Joe would recommend this technique to the kids, but it certainly got the job done in the 1972 World Series. At long last, the Reds may finally be able to get something of value out of the Scott Williamson trade. In 2003, Williamson posted a 3.19 ERA for the Reds with a 53/25 K/BB ratio in 42.1 innings when they shipped him out to the Red Sox. In return, the Reds received Tyler Pelland, Phil Dumatrait, and cash. Up to now, the only thing of value the Reds received was the cash. Hopefully, 24 year old southpaw Tyler Pelland can change that in the very near future. Pelland, who stands 5'11", weighs 205 lbs, features a four seam fastball that sits at 92-93, but can touch 95. He has an 89-90 mph two seam fastball with good movement. He has a power curveball that at times is a plus pitch, though it remains a bit inconsistent and he still needs to improve his feel for it. He also has a below average circle change-up that he throws in the low 80s with late tumble. His future seems likely to be in the bullpen, where he can work exclusively with only two pitches and not have to rely on his below average change-up. Ever since Pelland's arrival in the Reds organization he has failed to live up to expectations, which is due in large part to his control problems. After he came over from the Red Sox in 2004, the Reds sent him to the Gulf Coast League for 2.2 innings and then on to Rookie League Billings. At Billings, Pelland posted a 3.42 ERA, a 1.44 WHIP, 4.8 BB/9, and a 10.0 K/9 in 73.2 innings as a 20 year old. A performance which earned him a promotion to low-A Dayton to finish out the 2004 season. At Dayton, Pelland struggled against tougher competition, posting a 8.66 ERA, 1.93 WHIP, 4.0 BB/9, and a 7.7 K/9 in 44.2 innings. Despite his struggles at Dayton, the Reds promoted him to high-A Sarasota to start off the 2005 season. At Sarasota, Pelland posted a 4.05 ERA, 1.62 WHIP, 5.5 BB/9, and a 9.1 K/9 in 102.1 innings. He split time between the rotation and the bullpen, making 15 starts and 30 total appearances. Control continued to be a problem, as he walked too many batters and allowed too many baserunners in general. The Reds liked what they saw enough to promote him to double-A Chattanooga to start the 2006 season. The jump to double-A is often the most difficult in the minors and Pelland, despite his 3.99 ERA, did struggle. He posted a 5.7 BB/9 and a 6.8 K/9 in 142 innings working exclusively as a starter. Again, he allowed far too many baserunners, as evidenced by his 1.64 WHIP. The Reds sent Pelland back to double-A to start the 2007 season. After returning to Chattanooga, Pelland found better success working almost exclusively out of the bullpen. He made 5 starts, but made 30 appearances out of the bullpen. He posted a 3.95 ERA, 1.44 WHIP, 4.4 BB/9, and a 9.7 K/9. After 66 innings of work, the Reds bumped him up to triple-A Louisville to finish out the season. 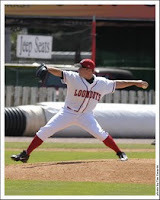 At Louisville, Pelland worked 23.2 innings, posting a 3.04 ERA, 1.01 WHIP, 2.76 BB/9, and a 10.3 K/9. It was a small sample size, but it was enough to give the Reds hope that Pelland was finally harnessing his stuff and limiting the extra baserunners that have consistently been his undoing. In his minor league career, Pelland has consistently struggled to post ERAs below 4.00 and WHIPs below 1.50. His obvious problem is his inability to throw strikes. He struggles with both his command and control, but the move to the bullpen may agree with him. If so, then it may be the key to unlocking his potential by eliminating his need for a third pitch and allowing him to work with more velocity on his fastball. 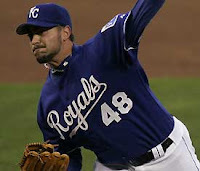 He'll return to triple-A to start 2008, but if he proves that his new performance level is for real, then he'll be in line for a promotion to the majors sooner rather than later. Several years ago, the late, great Vern Ruhle helped rework Pelland's mechanics, eliminating his cross-fire action. By helping Pelland pitch more directly to the plate, rather throwing across his body, Ruhle helped him improve his curveball. As it stands now, Pelland has fairly sound mechanics. Pelland has a nice high leg kick and coils his "Glove Side" leg to store up energy. He maintains good tempo and balance throughout his motion, never seeming to rush or get his body out of sync. He doesn't create much drive off the rubber with his lower body, but he still manages to generate substantial velocity. Though his new mechanics eliminate most of the cross-fire action from his delivery, there are still remnants of it in his arm action. His arm slot and arm action still result in him throwing across his body a bit. The slight cross fire delivery causes him to shorten his arm extension on the follow through, giving it a slightly restricted, unfinished look. 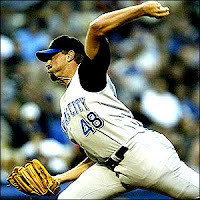 Rather than extending out through the pitch after releasing it, Pelland pulls his arm in towards his body in order to accommodate the cross-fire arm action. While his mechanics are free and easy, he has had difficulty maintaining a consistent arm slot which has led to the aforementioned command and control problems. Pelland remains the last best hope for the Reds to salvage something from the Scott Williamson deal. If he has a future, it's clear that it now resides in the bullpen. If the step forward he took in 2007 is legitimate, then he'll be in the Cincinnati bullpen sooner rather than later. However, he'll need to demonstrate that the improved command and control are for real, as that has been, is, and will continue to be, the key to unlocking his potential. Pelland joins Josh Roenicke, Pedro Viola, Sean Watson, and maybe Carlos Fisher as potential homegrown relievers on the verge of reaching the show. While that's a definite sign of an improving Reds farm system, it also inevitably draws into question the wisdom of handing out such a massive contract to Francisco Cordero to solidify the bullpen. If Pelland continues to trend upwards, then he may yet carve out a modest career in the middle of a Major League bullpen. If not, then let's at least hope that the Reds enjoyed the cash they received in the Scott Williamson trade, because Phil Dumatrait did them no favors. For now, Pelland's step forward in 2007 earns him the 25th slot on the list. As unbelievable as it seems, Aaron Harang is STILL undervalued around Major League Baseball. so he qualifies for our team. Maybe it's because he pitches in Cincinnati, doesn't light up the radar gun, or just lacks an oversized personality, but whatever the reason Aaron Harang isn't appreciated like he should be. The Reds stole Aaron Harang from the A's, trading Jose Guillen to the East Bay for Aaron Harang, Jeff Bruksch, and Joe Valentine. It was hands down the best Reds trade in the past 15 years, but it was completed by co-interim GMs Brad Kullman and Leland Maddox. Krivsky has made some solid trades, but the Aaron Harang trade is beyond compare. Harang attended San Diego State University and was drafted by the Rangers in the 6th round of the 1999 draft. In 2000, the Rangers subsequently traded him to the A's along with Ryan Cullen for Randy Velarde. Harang spent parts of two seasons in Oakland, but was made expendable by the presence of Tim Hudson, Mark Mulder, Barry Zito, Ted Lilly, and Rich Harden. Surprisingly enough, Harang is now indisputably the most valuable pitcher out of the entire group. 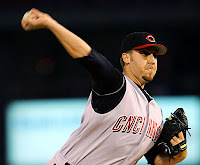 Harang has become a legitimate #1 starter and the linchpin of the Reds rotation. I'm not sure there's ever been a less heralded #1 starter in baseball. Harang has posted 3 consecutive seasons of stellar production. In fact, he's actually gotten better in each of the least four seasons. **His ERA has dropped from 4.86 to 3.83 to 3.76 to 3.73. **His WHIP has fallen from 1.43 to 1.27 to 1.27 to 1.14. **His BB/9 has fallen 3.0 to 2.2 to 2.2 to 2.0. **His K/9 has risen from 7.0 to 6.9 to 8.3 to 8.5. In 2007, Harang threw a first pitch strike 66% of the time and 67% of all of his pitches were strikes. In addition, only 3% of opposition plate appearances resulted in a 3-0 count, while 24% of opposition plate appearances resulted in an 0-2 count. Harang threw first pitch strikes often and rarely fell behind, which helped him posted an NL best 4.19 K/BB ratio. On top of it all, Harang has somehow managed to do it in front of a porous defense in a bandbox home ballpark. It's scary to think of the numbers he would put up in front of a top flight defense or a more pitcher friendly park. In 2007, the Reds as a team had a DER of only .679, which was well below the NL average of .691. In short, the Reds turn far fewer balls into outs than other defenses in the NL, which drags down the numbers of the entire pitching staff, Harang included. On top of it all, Harang isn't just an ace, he's also a workhorse, logging a total of 677.2 innings over the last three seasons. So, he doesn't just provide a high level of production, he provides a massive amount of that production. A pitcher's impact is not just a function of his performance, but also his workload. Rich Harden can pitch at a Johan Santana like level, but it's largely irrelevant because he can't handle a workload heavy enough to maximize his impact. Barry Zito can handle a very heavy workload, but doesn't perform at a very high level anymore, so his impact is minimized. Harang, on the other hand, performs at a very high level and works a lot of innings, which maximizes his impact on the fortunes of the Reds. Jake Peavy won the NL Cy Young Award in 2007, but it's fair to wonder if Harang would've won it if he and Peavy swapped teams. Again, in 2007, the Reds had a .679 DER, while the Padres posted a .701 DER. In addition, Petco Park is the best pitcher's park in baseball, while Great American BallPark is one of the worst. Peavy would probably still be a tick better, but it wouldn't be by much. Harang is that good. At this point, I'm not sure what Harang has to do to earn the respect he deserves, but it will probably take the Reds making the playoffs. At that point, maybe the national media would wake up and realize what they have been missing. Until that time, Aaron Harang can comfortably headline the All Undervalued Team. At this point on the list, it becomes difficult to determine who falls where. However, the bloom is already off the rose for some formerly well regarded prospects (i.e. Paul Janish, Chris Dickerson, and Marcus McBeth) and many of the newer arrivals haven't done enough to warrant inclusion on this list as of yet (i.e. Chris Heisey, Brandon Menchaca, and Alexis Oliveras). So, Justin Reed gets the nod at this spot. I doubt he'll be ranked in the top 30 on most lists, but I'm still intrigued by his athletic ability and potential upside and look forward to seeing what he can do in 2008. Reed is 5'11", 179 lbs, bat left, and throws right. He is a tremendous overall athlete, but needs to learn how to translate it into baseball performance. Reed is likely to be slower to develop than most prospects, as he excelled in both baseball and football in high school, which divided his athletic focus. His baseball skills need polish, but he's got the raw ability to become a successful professional ballplayer. Justin Reed attended Jackson Callaway High School in Mississippi until his senior year when he transferred to HillCrest Christian. Reed also was chosen to be on the roster for the Jr. Olympics. The Jr. Olympics brings all the top high school prospects in the country together and Reed made the Finalist Roster, which is the final 24 man roster. In addition, he hit .550 during the Olympic Trials, which was the 3rd highest out of the 140 players who were invited. Reed committed to Ole Miss with a football scholarship before the Reds selected him with the 114 overall pick of the 4th round of the 2006 draft and signed him away. It hasn't been all smooth sailing for Reed since he made his professional debut, but he's shown improvement, which is what you want out of a prospect. Most organizations actually like to see a prospect struggle at some point, as it forces the prospect to learn how to cope with adversity. 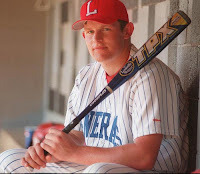 After signing in 2006, the Reds sent the 18 year old Reed to the rookie Gulf Coast League, where he hit .180/.262/.286/.548. In 187 PA, he had a 45/19 K/BB ratio and while he was only successful in 6 out of 11 stolen base attempts, he did lead the league with 6 triples. 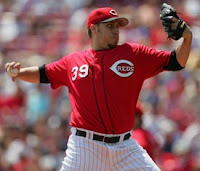 In 2007, the Reds sent the 19 year old Reed back to the Gulf Coast League where he had much more success. He posted a line of .310/.386/.434/.820 with a 31/13 K/BB ratio in 145 PAs. Again, he demonstrated good speed with 4 triples and was successful in 9 of 12 stolen base attempts. He had a line drive percentage of 17%. 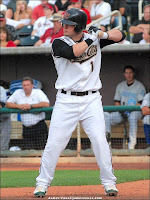 His good performance earned him a promotion up to the Pioneer League. At Billings, Reed hit .250/.353/.420/.773 with a 41/13 K/BB ratio in 119 PAs. He hit 2 triples and was successful in 4 of 8 stolen base attempts. His line drive percentage improved to 21%. His batting average was low, but Reed did get on base at a good clip, posting on IsoOBP of .103. All in all, Reed had a fairly successful 2007 season. Reed's biggest asset is his speed, which is a plus tool. He runs the 60 yard dash in 6.48 seconds. In addition, Reed understands that his job is to get on base and has posted respectable walk rates. He also has good bunting skills, which allows him to utilize his speed. Reed has good bat speed, but like many multi-sport athletes, he's still raw at the plate. Reed hits from a slightly wider than shoulder width stance and bounces on his front foot while waiting for the pitch. When the pitch is delivered, Reed takes a short stride and is fairly quick to the ball. He has a level swing that could produce a lot of hard line drives in the future. In addition, Reed is quick out of the batter's box and down the first base line. On the downside, Reed has a tendency to spin out on his front foot at times, so he'll need to do a better job of staying on the ball and maintaining his balance. In addition, Reed needs to improve his hand position prior to beginning his swing. He doesn't seem to quite get his hands far enough back to be in good hitting position, which is likely to hinder his performance. If he doesn't have a good hand set before firing his swing, then he's behind before he even gets started, which may be part of the reason for his high strikeout rate and difficulty in making consistent contact. Again, Reed needs to work on his overall game, but the raw abilities are evident. You can access his MLB draft scouting report here. As with all aspects of his game, Reed is still raw in the field. Oddly enough, Reed was a catcher for three years in high school, only switching to centerfield in his senior season to take better advantage of his speed. In 2007, Reed only made one error for Billings, but could improve his route running and his reads off the bat, which should happen with experience. Reed has an accurate arm, but his throws don't have much carry. His arm is only average, but it should be enough to allow him to stay in centerfield. Given his limited experience in centerfield, it's not unexpected that he needs to improve his defensive game. However, he has the tools to become a solid defensive centerfielder. Reed seems to have fallen off most prospect lists, but his performance does bear watching. Given that he didn't focus solely on baseball until after he was drafted, Reed's struggles are not unexpected. While he may take longer to develop than most, that doesn't mean that he isn't decent prospect. He has been slow out of the gate, but it's not how you start that matters, it's how you finish. Reed's career will largely be driven by his ability to utilize his speed. If he can put it to use in the field and at the plate, then he could develop into a nice player. Reed has the tools to be both a solid outfielder and an effective table setter, though he'll need to cut down on his strikeouts while maintaining his "late count" approach at the plate. 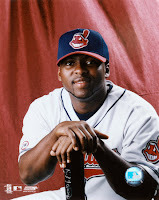 Overall, his 2007 season indicates that he is beginning to figure things out in professional baseball. If he continues to build on his 2007 improvement, then he could take another step forward in 2008. The Reds are likely to start Reed out at low-A Dayton next year, where he'll need to rise to the challenge to solidify his prospect status. Fortunately, given that Reed will only be 20 years old in 2008, time is still on Reed's side, so for now he checks in at #24 on the list. One of the most important strategies for a low/mid-market team GM to embrace is the idea of player turnover. The A's first discovered how to effectively churn players to generate the most value from their assets. Subsequently, the Red Sox stole the A's playbook, supplemented it with a massive revenue stream, and ultimately won two World Series titles. All of which speaks to the fact that embracing a degree of player turnover is an essential strategy in the modern game and Reds may be doing just that with the Jeremy Affeldt signing. The Reds signed Jeremy Affeldt, who may be best known for getting body slammed during a baseball brawl by the ridiculous Kyle Farnsworth, to a one year deal worth $3M. 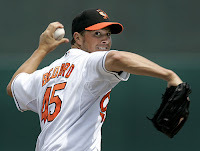 However, Affeldt is actually a very intriguing left-handed pitcher who has yet to live up to his considerable potential. Affeldt doesn't have the most impressive statistics, but he does have rather impressive stuff, which is why the Royals had such difficulty in giving up on him. Affeldt is a rare power lefty with very good stuff, which SHOULD translate into much better production than Affeldt has provided in his career. Affeldt features a mid-90s fastball and a very impressive power curveball. It's not the loopy, lollipop variety curveball like Barry Zito throws, but rather a hard, sharp breaking pitch. For his career, Affeldt sports a 4.74 ERA, 1.50 WHIP, 4.2 BB/9, and a 6.4 K/9. In 2007, he was much better for the Rockies, posting a 3.51 ERA, 1.36 WHIP, 5.0 BB/9, and a 7.0 K/9. In addition, Affeldt has what the Reds need, as he gets a substantial number of groundballs. For his career, Affeldt has a 1.45 GB/FB ratio and in 2007 it was an even more impressive 1.80. Of course, Affeldt will likely see his performance in Cincinnati suffer from the shoddy Reds defense. The Rockies had a DER of .702 in 2007, while the Reds were a lackluster .679. The Reds well below average team defense is never going to help out newly acquired pitchers. However, this signing certainly addresses a need for the Reds, as they need a lefthander in the rotation (though Affeldt may ultimately end up in the bullpen) and they could always use more quality groundball pitchers. While this move makes sense from an on-the-field perspective, it also makes tremendous sense from an off-the-field perspective. Jeremy Affeldt did not qualify as either a type A or B free agent, so the Reds do not have to surrender a compensatory pick for signing him. He is currently only ranked as the 70th best relief pitcher in the NL and only the top 57 relievers warranted competition in 2007. In order to calculate player compensation, the Elias Sports Bureau considers the player's two previous seasons. So, for Affeldt, his lackluster 2006 and solid 2007 seasons were considered in arriving at his current Elias ranking. So, when Affeldt's one year Reds contract runs out at the end of 2008, Elias will consider Affeldt's 2007 and 2008 seasons to determine his compensation rating. So, given that Affeldt was poor in 2006 and fairly solid in 2007, it's the 2006 season that dragged down his current Elias Ranking. Accordingly, the Reds could be in line for compensatory picks if Affeldt manages to repeat his 2007 production during the 2008 season. If the Reds get decent production out of Affeldt and let him walk for a compensatory draft pick or two, then it'll be a great value generating acquisition for the Reds. Embracing player turnover is important to maximizing the value of an organization's assets and Affeldt may ultimately generate quite a bit of value for the Reds. In addition, the price is right, as it only cost the Reds only a 1 year commitment and $3M in salary. It has yet to be determined what role Affeldt will fill in 2008, but it's hard not to like this deal for the Reds. After a couple of years of complete inaction under former GM Dan O'Brien, it's refreshing to see a GM embrace a bit of player turnover, which can have substantial positive impact on the future of the organization. I recently came across an interesting video breakdown of Tim Lincecum's pitching mechanics. I'm not sure who is narrating the video, but he does a nice job of breaking down Lincecum's mechanics. In addition, the video is put together nicely to demonstrate how the differential between hip and shoulder rotation helps to generate velocity, which is something I look at in a pitcher's mechanics. One thing that you can glean from the video is that Lincecum throws with his entire body better than just about everyone, which should reduce stress on the arm. Pitching has always been about more than just the arm, and Lincecum's mechanics enable him to distribute the stress of pitching out over his entire body. That said, to throw as fast as he does, you still need a top notch arm. Here is the video, which was posted on youtube by hookemhorns, though I'm not sure if he is also the narrator. Watching the video raised a couple of thoughts, so I thought I'd flush out the hip rotation and a few other issues a bit more. At the 3:19 mark, Oswalt and Lincecum have their respective leg kicks at their apex. However, the difference in their degree of coil is evident. Lincecum's tremendous hip rotation means that his Glove Side (GS) knee is almost pointing at second base. Oswalt, however, has much less hip rotation and his GS knee is only pointed at third base. Lincecum's bigger hip rotation allows him to store substantially more energy than Oswalt. The tension created by this degree of hip rotation creates a substantial amount of stored energy, which Lincecum is ultimately able to impart on the baseball. At the 1:36 mark, you can see how Lincecum unleashes the stored energy to generate his velocity. Again, Lincecum stored up substantial energy with his tremendous hip rotation in his leg kick and now unleashes it by firing the hips before the shoulders. The differential between the hip and shoulder rotation enables him to first store energy and later unleash it. When the video stops at the 1:36 mark, you can again see massive differential between Lincecum's hip and shoulder rotation. His hips have already fired, which means that they are essentially parallel to a line running from first base to third base. However, his shoulders have not rotated and are essentially parallel to a line running from home plate to second base. Lincecum uses his body to store and unleash a significant amount of energy, which enables him to generate massive velocity despite a smaller frame. I do, however, disagree with the narrator on a couple of points. First, I think Lincecum's changeup is underrated. Obviously, he selected video clips of poor changeups, but Lincecum can really pull the string when he's on. He needs to get more consistent with it, but I have no doubt it will become a true plus pitch. If you watch him work, you can see glimpses of it already and it should become a big part of his arsenal over the course of his career. Also, I think it's a stretch to say that specificity of his back muscle training may lead to injuries. While repeating his mechanics may have led to increased development of certain muscles, it seems a bit dubious to suggest that the injury risk is increased in his delivery. Just because Lincecum tweaked his back while swinging a bat isn't enough to conclude that his injury risk is heightened. Not to mention, if ANY pitcher alters his mechanics, then he may well be at an increased risk of injury, so it certainly isn't a Lincecum specific issue. Carlos Zambrano, for example, dropped his arm slot significantly in 2007 and that may lead to an arm injury in the near future. Another interesting aspect of Lincecum's delivery is the deception it creates. After he breaks his hands, Lincecum hides the ball behind his right hip, which makes it tough on the hitter. At the 1:00 mark of the video, you can see that Lincecum completely straightens his arm, which gives the appearance of almost pushing the ball down towards the ground. It's a move that hides the ball behind his right hip and increases deception. This is also a similarity between Lincecum and Sandy Koufax, as they both hold the ball very low after breaking their hands. Speaking of Koufax, I'm must admit I'm not a huge fan of his mechanics. As mentioned in the video, he doesn't have much hip rotation, which means that as a power pitcher he has to generate the velocity largely with his arm. Similarly, Reds prospect Sam LeCure doesn't coil up his body, but unlike Koufax he can't offset it by generating top notch velocity with his arm. In addition, at times, Koufax throws against a stiff GS leg on his follow through, which results in his momentum being pushed backed towards the rubber after he releases the pitch. That's similar to what you see in Reds prospect Travis Wood, who also has a tendency to pitch against a firm GS leg. Overall, I think the video does a nice job of demonstrating different aspects of a pitching mechanics, which really come to light when you can see them in action. I don't imagine this post will be of interest to most, but it's one I'm compelled to make as a card carrying member of the John Hudgins fan club. Hudgins is my all-time favorite college pitcher, due to his stellar work at Stanford University, but he vanished off the face of the baseball map in 2007. When a player's prospect status slips away, the media coverage slips away as well. It becomes difficult to find out much information on him, despite a fairly in-depth bit of research. When he went missing in 2007, I had feared that he had decided to hang it up when he seemed to be on the verge of reaching the big league level, but in actuality he underwent Tommy John surgery and missed the entire 2007 season. However, Hudgins arrived back in the professional ranks in time for the Arizona Fall League. Perhaps not unexpectedly, he performed poorly in limited work, but ultimately what's important is that he made it back on the mound. Hudgins had an epic 2003 college baseball season. He went 14-3 with a 2.99 ERA, striking out 143 hitters in 165.1 innings pitched. In addition, he won Most Outstanding Player in the College World Series, where he went 3-0 with a 1.88 ERA and 15 strikeouts in 24.0 innings. His final outing of his collegiate career was a gritty performance on only three days rest. He scattered 10 hits and allowed 3 runs with 5 strikeouts in 7.0 innings to earn the victory in an 8-3 win over Rice. In the professional ranks, Hudgins has a career 4.13 ERA with a 1.30 WHIP, 2.9 BB/9, and a 8.2 K/9. Hudgins lacks top notch stuff, but he's a very cerebral pitcher and does have a plus changeup. He has an innate understanding of how to pitch and uses that knowledge to keep hitters off-balance. To succeed, he really has to out-think the hitters and he is fully capable of doing so. A couple years ago, I thought he would be a quality Rule V selection, but he wasn't taken and subsequently got injured. There's a nice article about him on scout.com, which you can access here. The article talks about Hudgins, but also a brief mention about the differing player development strategies of the Rangers and Padres. Hudgins' stuff prevents him from being a top of the rotation guy, but his baseball IQ and gritty style may make him a solid back of the rotation pitcher. However, injuries have retarded his career. He's already 26 and time is running out for him to establish himself as an MLB pitcher. Regardless, for now, it's just good to see him get back on the mound, but I'm still pulling for him to succeed in the show and then settle into a long career as a pitching coach, educating throwers on the true art of pitching. Now that I've fulfilled my obligations to the John Hudgins fans around the world, it's back to our regularly scheduled programming. Justin Turner is a grinder who gets every last drop out of his athletic ability. Unfortunately, his ability and upside are limited, but he's got the drive and work ethic to be successful. Turner went to Cal State Fullerton, one of the top college baseball programs in the country, where he played with fellow Reds prospect Danny Dorn. Turner was actually drafted before Dorn, as the Reds grabbed him with the 204th pick in the 7th round of the 2006 draft. Turner stands 5'11" tall, weighs 190 lbs, bats right, and throws right. Turner's professional career started out in the Pioneer League at the end of the 2006 season, where he made quick work of the less advanced competition, posting a line of .338/.411/.511/.921. In addition, he swiped 12 bags in 14 attempts and hit 6 homeruns. Of course, the Pioneer league is a level down from the competition of elite college baseball programs, so Turner should have done very well. In 2007, the Reds bumped Turner up to low-A Dayton, where he continued performing at a high level. He hit a robust .311/.374/.446/.820 with 10 homers and 12 steals in 20 attempts. However, he only had a 14% line drive rate and an uninspiring 72/39 K/BB rate. Turner got a late season bump up to high-A Sarasota, where he struggled in a small sample size. Sarasota is the most difficult offensive environment in the Reds system, so depressed offensive stats are to be expected. In 20 ABs with Sarasota, Turner hit .200/.238/.200/.438, which is just too small of a sample size to be indicative of anything. Turner has acquitted himself rather well at the lower levels, but as a polished college player that isn't unexpected. His real challenge starts now, as he's likely to head back to Sarasota in 2008 with a chance for a promotion to Double-A Chattanooga. On offense, Turner doesn't do anything especially well, but he doesn't have any glaring weaknesses either. He's the type of player who defies expectations. He grinds and grinds and grinds. Simply put, he does whatever it takes to get the job done. Turner hits out of a slightly wider than shoulder width stance and uses a high back elbow. He takes a very small stride, which is little more than slightly raising his foot up and putting it back down. His lower body doesn't generate much power, as his hip rotation just isn't very strong. Turner has a short, compact swing that is fairly uncomplicated, but leaves him with only gap power. Despite his limitations, Turner is effective because he understands his strengths and weaknesses. He never tries to do too much with the pitch. He's willing to go with the pitch and take it the other way. At Dayton, Turner hit the ball to leftfield 146 times, to centerfield 78 times, and to rightfield 156 times, so he is obviously willing to utilize the whole field. While Turner would benefit from controlling the zone better and being more disciplined, any success he has at the plate comes from his ability to stay within himself. He doesn't try to do too much, taking only what the game gives him and making the most of it. You can access the MLB draft scouting video for Justin Turner here. On defense, Turner is very fundamentally sound. He has very strong footwork and consistently gets into good fielding position on groundballs. In addition, he's got soft hands and receives groundballs very well. He moves well in the field, has good agility, and good first step quickness, all of which allows him to chew up a lot of ground. Turner has an accurate arm and average arm strength that's more than adequate at second base. Unfortunately, he likely doesn't have the range to handle shortstop, where his bat would play better, but he's a good defensive player. Overall, Turner is the type of fundamentally sound player that you often see coming out of the top collegiate baseball programs, which is part of what makes them desirable. Unfortunately, his upside is limited, but he gets the most out of his ability. Turner does the little things very well, but lacks the skill set to do the big things well. Ultimately, Turner will go as far as his bat will take him, but at this point he seems like a real long-shot to be a starter at the MLB level. However, his solid defense may make him a viable option as a utility infielder and given his intangibles and work ethic, it would probably be unwise to bet against Turner. For now, Turner's intangibles, attitude, and work ethic earns him a spot at #23 on the list. Perhaps not surprisingly, it's most difficult to find an undervalued player at the first base slot. There are fewer skills at work at first base, so there are fewer opportunities to find undervalued players. By and large, firstbase comes down to offense. Clearly, Carlos Pena would have fit the bill prior to the 2007 season, but somehow he doesn't quite fit that label any longer. 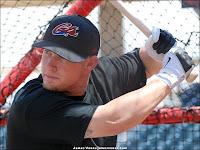 I considered Nick Johnson, Casey Kotchman, James Loney, and Joey Votto, but ultimately decided on Daric Barton. 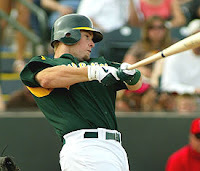 Barton may not be too undervalued, but I suspect he's a bit under-appreciated by everyone not in the A's organization. Right or wrong, Barton was slotted behind Votto and Loney among first base prospects, due in large part to his lack of top notch power. While all of the aforementioned players have their strengths and weaknesses, I went with Barton because he might well be the rarest of the rare: the "late count" hitter who rarely strikes out. While the strikeout has long been considered the worst possible outcome for hitters, the new wave of statistical analysis indicates that a strikeout is actually not much more detrimental than the aggregate of all the other kinds of outs. However, that's a bit misleading, as it's not the same as saying that a swing and miss is not detrimental. A swing and a miss can guarantee an out, while contact may or may not result in an out. So, while a strikeout is essentially no worse than the aggregate of the other outs, putting the ball in play is much more advantageous than no contact, as it may not necessarily result in an out. Good things can happen if you put the ball in play, as you don't have a chance of winning the hit lottery, advancing a runner, or benefiting from a fielding error unless you make contact. While that is all certainly true, there are actually a few ancillary benefits to strikeouts, which include drawing walks and making a pitcher work. By and large, a strikeout requires working deep into the count. If you work deep into the count, then you put yourself in a position to draw a walk. In addition, working deeper into counts can get a team into the opponents bullpen much earlier. Generally speaking, hitters who don't strike out also don't walk very often. Walks and strikeouts often go hand in hand, as you cannot get either result without working deep into the count. Hitters who don't strikeout are typically the type who force early consequences to their plate appearance. The top 10 players in pitches seen per plate appearance in 2007 were Reggie Willits (4.44), Jack Cust (4.40), Bobby Abreu (4.38), Todd Helton (4.34), Kevin Millar (4.32), Johnny Damon (4.30), Kevin Youkilis (4.27), Nick Swisher (4.25), Brandon Inge (4.23), and Pat Burrell (4.22). All of these players are late count hitters and have strong walk rates, but also accumulate a substantial number of strikeouts. Typically, there is a degree of correlation between walks and strikeouts. However, the ultimate offensive player (i.e. Albert Pujols) would be one who can drive the ball, walk a great deal, and strikeout very little. Daric Barton is unique, because he might be able to do just that. 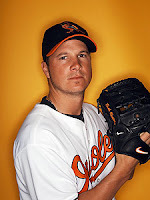 In his 2007 MLB debut, Barton saw 3.83 #P/PA and made contact at an 87% clip. He posted a line of .347/.429/.639/1.068 and displayed impressive power by hitting a homer every 18 At Bats. However, he's unlikely to sustain that level of power in 2008, as he has yet to demonstrate that kind of power in the minors. The power spike is likely the result of a small sample size more than anything else, but Barton does have more power projection. He's never going to be Ryan Howard or Prince Fielder, but he could develop 20-25 homerun power in time. In his minor league career, Barton has posted a career line of .301/.412/.459/.871. In addition, he has managed to draw more walks (313) than strikeouts (266). Barton has tremendous plate discipline and does a great job of controlling the strike-zone. In addition to his great approach at the plate, Barton has a truly beautiful swing. It's smooth and short generating a lot of line drives. In 2006 at AAA Sacramento, Barton posted a line drive percentage of 23%. In 2007, he posted a 21% clip at Sacramento and a 25% clip at the MLB level. As it stands, he doesn't have great power, but as he continues to fill out it should improve. If his power improves a notch, then I could see Barton becoming a real Edgar Martinez type. Barton could be one of the purest hitters in baseball, just like Edgar used to be. And, also like Edgar, Barton could be one of the rare players who can post a career line of .300+/.400+/.500+. If the power doesn't come around, then his high batting average and elite on base skills will still make him a very valuable ballplayer. As it stands, Barton is a pure hitter who may yet develop the power that enables him to be a complete hitter. His lack of power may have made him a bit undervalued, but even if the power doesn't develop he still has the hitting and on-base skills to generate tremendous production and value. I thought this was interesting, as you always hear about Tommy John surgery, but rarely what the physical rehabilitation will entail. TJ surgery has become almost routine, but it takes a lot of hard work and dedication to make it all the way back. 0-7 Days: Splint is worn, squeeze a soft ball. 1-4 Weeks: Discontinue splint; sling worn for one more week; gradually achieve full range of motion. 1-2 Months: Full range of motion at elbow, wrist, forearm, shoulder; lightweights for forearm exercises. 2-3 Months: Continue lower body conditioning program; continue exercises for upper extremities, including rotator cuff. 3-4 Months: Easy tossing (no wind-up), 25-30 throws building up to 70. 4-5 Months: Continue throwing program with easy wind-up, 20-50 feet, 10-40 throws. 5-6 Months: Throwing program extends to 60 feet at half-speed. 6-7 Months: Gradually increase distance to 150 feet. 7-8 Months: Progress to a mound at half- to three-quarters speed, using proper body mechanics (stay on top of the ball, keep elbow up, throw over the top, follow through with the arm and trunk). 9-10 Months: Simulate game situations. 10-12 Months: Begin normal routine and make appropriate rehab starts. Originally provided by Dr. Craig Morgan to the Courier Post Online. Despite what one may think of Wayne Krivksy's player personnel moves, it's difficult not to marvel at the secrecy that shrouds all of his acquisitions. In a world that is shrinking every day due to improved technology, where information about most topics is available at the click of a mouse, Krivsky still manages to operate with ninja stealth. Amazingly enough, Krivsky manages to make all of his big trades without the press ever catching wind of it. 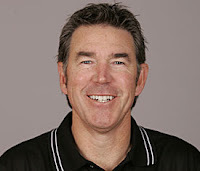 He must have worked extensively as a plumber, as the Reds front office never has any leaks. The ease with which the Reds withhold information from the media makes you wonder how much information is intentionally leaked to the media by other organizations. Regardless, one has to question whether or not the media blackout is advantageous to the Reds. 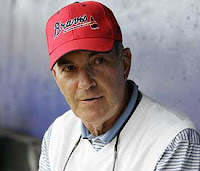 It's possible to infer two things from the lack of advanced notice of Reds' trades: 1) Krivsky maintains a small inner circle in his decision making process, which may not allow for the most effective use of the Reds front office personnel, and 2) Krivsky's insistence on silence may be preventing him from accurately gauging the trade market. The resignation of Johnny Almaraz last season is additional evidence of first inference. Almaraz left in part because he didn't feel part of the inner circle. He wasn't being included in the player personnel discussions and decisions. In fact, Almaraz said this following his resignation: "I'm not included in any of the discussions and, in fact, when I walked into the suite during the Winter Meetings, Wayne and his people would lower their voices to a whisper or take their discussions into the bedroom." In reading John Schuerholz's book, Built to Win, one of the things he stresses is the importance of utilizing all the strengths of the organization. Schuerholz likens himself to the conductor of an orchestra, who simply works to bring out the best of the entire organization, relying on the individuals strengths of each member when appropriate. In fact, Schuerholz mentions sending out messages to his entire scouting staff when he is interested in acquiring a player. Any of his scouts with information on the player then responds and provides his $.02. Schuerholz then utilizes this information in making the ultimate decision. Knowledge is power in all instances of decision making and it holds true in player personnel decisions. It's difficult to know whether Krivsky works in a similar fashion, but it's hard to imagine that he does. Given what Almaraz said and the fact that there is likely to be more information in the media if Krivsky was relying on his entire scouting staff. The more people in on a discussion, the more likely there will be a leak. However, word of trades leaking out might not be such a bad thing. As for second inference, it might actually be helpful for Krivsky if the rumors about the prospective deal were circulated. If word leaked out that the Reds were on the verge of a deal, then maybe the media reaction, fan response, or follow-up communication from other GMs would help the Reds determine if they were on the verge of making a solid trade. In addition, letting word leak out might bring better offers to the table, the result of which would be more value in the deal for the Reds. The Twins have been using the media to play the Yankees and Red Sox off against each other in the Johan Santana trade talks. In so doing, the Twins have managed to get each team to up its offer. While they haven't yet received a deal to their liking, they have managed to get better offers than they would have received. The Reds would be unable to utilize this type of value maximizing strategy, as they are dead set on confidentiality in their dealings. Krivsky thrives on bringing in undervalued talent, like Hamilton, Phillips, and Cantu. In that type of deal, there is little need to get an accurate read on the market, so his stealthy style is not a detriment. However, it is difficult to deny that Krivsky struggles to get maximum value for the established Reds players. It happened in the Kearns trade and I would suggest that it has happened again with the Hamilton deal. In the final analysis, Krivsky needs to both widen his decision making circle to better utilize the resources of the organization and use the media to better gauge the market and flush out additional trade offers. It's imperative for the mid-market Reds to maximize the value of their assets and making these two changes is a step that may make it possible.